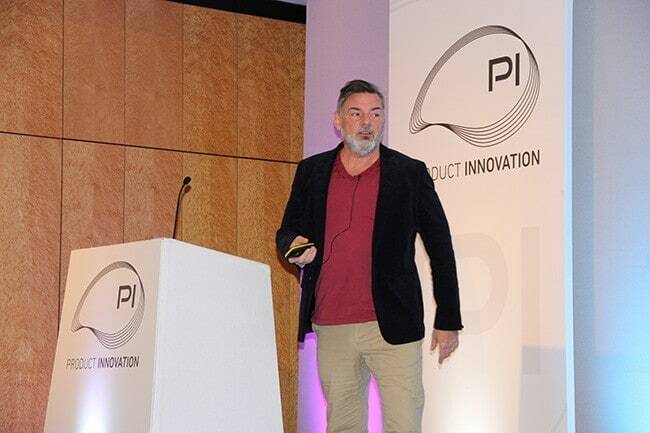 Mark Harrop recently returned from Product Innovation Apparel EU 2016, held in Berlin. In this exclusive report, he gives his coverage of the show and opinions on the event as a whole, as well as on the specific sessions he attended. 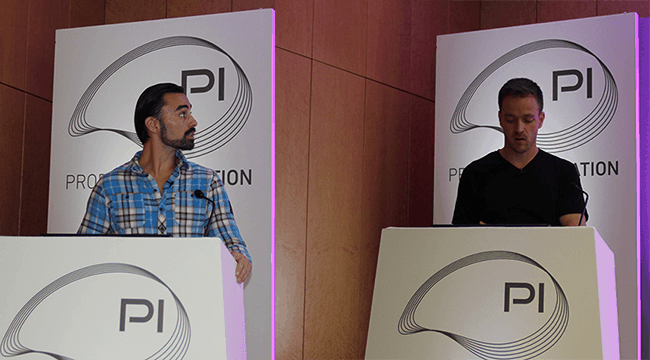 Having attended PI Apparel New York for the last two years, most recently in June this year [you can read my full report here], WhichPLM attended PI Apparel EU this month as official media partners. 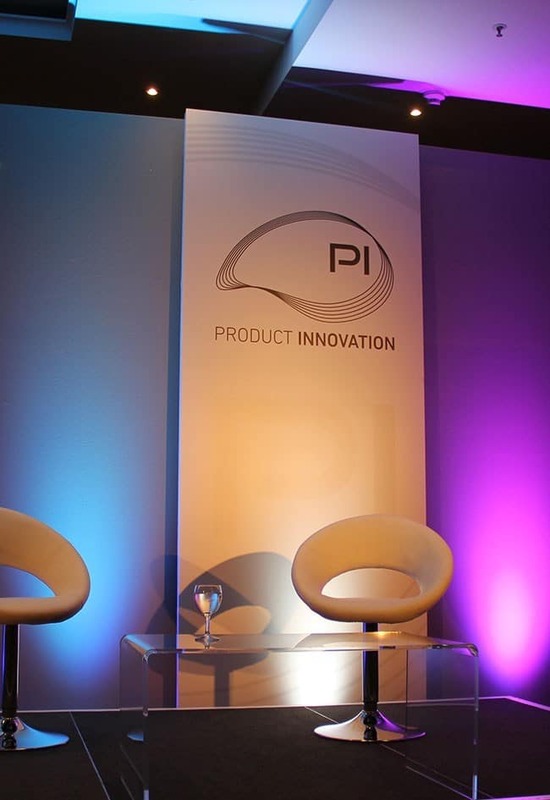 PI Apparel has been an industry fixture in recent years, and previous US events have been held in Boston, Chicago, San Diego and New York, with EU events held in London, Munich, Berlin, and Düsseldorf. For 2017, PI will also be holding their first Asian retail technology event in Hong Kong. 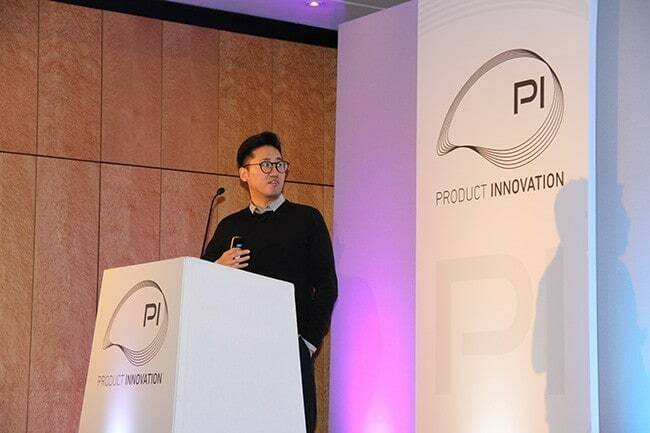 PI’s motto is “enabling innovation through data intelligence”; via a combination of PI Apparel and PI Cross-Sector, the company’s purpose is to help manufacturers innovate using data intelligence, providing companies with peer-led knowledge that gives them the data-bedrock to drive enterprise-wide innovation. With any PI event I’ve come to expect a mixture of familiarity and newness. Having seen success in Berlin for previous PI Apparel EU events, the decision to host in Berlin again this year makes a lot of sense. The Maritim ProArte Hotel sits in the centre of Berlin between the Brandenburg Gate and the Gendarmenmarkt – a perfect location to set up camp for PI this year. Contrasting the traditional décor of the Union League Club – the setting for the American PI earlier this year – the Maritim ProArte is a modern, expressive venue complete with modern restaurant and cocktail bar ideal for networking before and after the event. And, as the name suggests, brimming with art. The event took place on the 5th & 6th October and was yet again chaired by Craig Crawford, a fellow technology enthusiast of many years. Those of you who have attended a PI event, or read previous WhichPLM coverage, will note that Crawford is the resident chair. He performed the opening and closing remarks on both days, as well as presenting his own session, ‘The social enterprise – collaboration is king’, towards the close of day two. Craig certainly wasn’t the only familiar face I came across. Returning PI speakers included Nicole Jones, Director of Product Development Technologies at Lane Bryant, who presented two sessions this year; Tim Williams, CEO of YR Store; Soon Yu, Former Global VP of Innovation for VF Corporation. Simon Kim, Chief Strategy Officer at CLO Virtual Fashion was another PI speaker from this summer’s New York event, and was a keynote speaker this time around; and the well-known Target USA duo (consisting Alexis Kantor, VP Apparel & Accessories Product Development, and Sandra Gagnon, Director 3D Virtual Transformation) was also there to share their thoughts and passion on the subject of 3D. Triumph International was a repeat visitor, as was Under Armour – although with a new speaker: Dagmar Chlosta, SVP of Global Operations, and another long-term, passionate enthusiast for technology including PLM, 3D and the IoT. 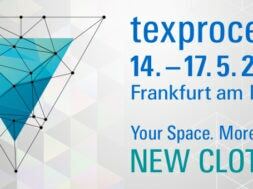 Also represented again was Human Solutions GmbH, with new speaker, Harald H Preußer, Product Manager for 3D Apparel Simulation. Harald spoke on 3D visualisation in conjunction with Sebastian Geist, Head of Public Relations at BRAX. As sponsors and/or presentation partners this year, other repeat names were Gerber Technology, Alvanon, Browzwear, and Lectra. 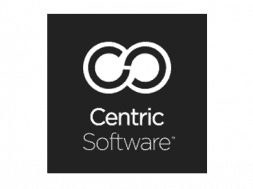 Lead sponsor for the event was Clo 3D, and the final presentation partner (adding to Gerber Technology, Lectra, and Human Solutions already mentioned) was Centric Software. 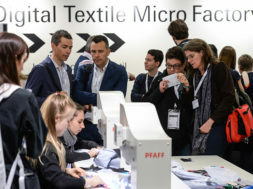 Other partners included well-known names like Body Labs, Dassault Systèmes (who, in collaboration with Browzwear, revealed an advanced development in 3D & PLM for fashion), ITC Infotech, Kalypso, PTC, TXT Retail, Visual 2000, FastReact, Audaces, and VIZOO GmbH. With a European (and more specifically, German) focus, there were many new names and faces from the vicinity. Neiderrhein University Mönchengladbach, Peek & Cloppenburg, and IACDE cropped up throughout the programme – separately, and together. Norwegian brand, Helly Hansen, were represented by Ferdinand Diener, Manager of Process and Quality, and Robert Reumkens, Product Operations Coordinator sharing their PLM journey; Ingird Heijnen, Manager Atelier – Specialist Fit & Construction presented for G-Star Raw; and Julia Dubowy, Director of Operations, presented for MUSTANG GmbH. 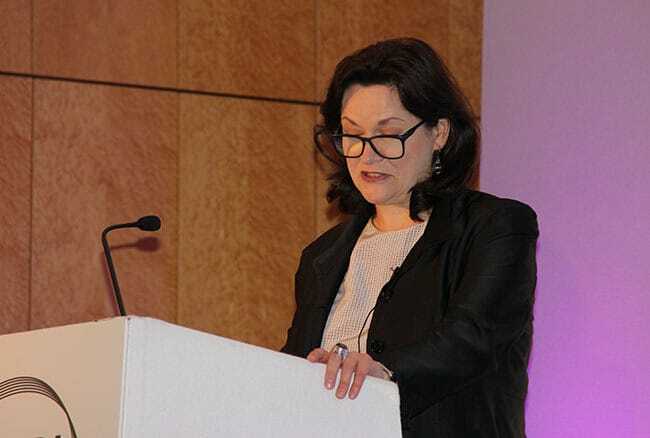 Also from Europe was keynote speaker, Carmen Hijosa – Founder & CEO of Ananas Anam UK. Cathy McCabe, CIO of Jaeger, was another keynote speaker, and I’ll speak on both of these women in more depth later in this report. Other fresh faces this time included Brooke Roberts-Islam, Founder & Designer of namesake Brooke Roberts; Pascale Bouyere of Groupe Zannier; Pasquale Coppolella of Marni Group; Sandra Kuijpers of the Amsterdam Fashion Institute; Annamie Hansen & Hugh Winter of Pepkor; Hakan Duran of Aydinli Group; Mirjam Ulle of PVH; Jonathan Chippindale of Holition. 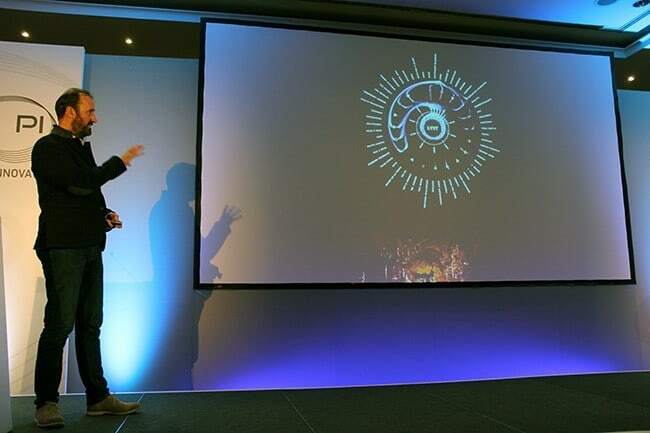 Jonathan is Chief Executive of Holition and presented a fascinating keynote – the first session I’d like to delve into. Jonathan has a background in Luxury retail, having spent 10 years as the MD for De Beers Group. He is an advisor and visiting lecturer at University of the Arts London, and a mentor to BBC Worldwide Labs and TechStars. As a regular speaker at technology, retail and innovation conferences around the world, Jonathan was right at home at Product Innovation. In his keynote, ‘Exploring and expanding the role of technology in communicating with today’s digital consumer’, he told us of Holition. The company was born out of Jonathan’s desire to be a part of the change he saw coming almost a decade ago. In 2008, “pre-iPhone, pre-Twitter and at the dawn of Facebook” he was working in the Luxury industry; there was a strong desire to shy away from digital creation in an effort to keep brand heritage – exactly the kind of mentality Jonathan wanted to break away from, he told us. Holition was formed. Its primary goal was (and is) similar to that of WhichPLM’s: to educate, to better understand. In this case, to better understand technology and, in particular, how technology could help with a brand’s communication, taking an idea beyond a “click-click-buy” model. On the subject of Luxury apparel, Jonathan shared a story on how e-commerce does not work for all brands; in the early days some Luxury brands shied away from using the Internet, linked to fears of it not going to be around for long! Jonathan made the point that Luxury brands are never featured in the world’s top 50 innovative companies – the likes of Redhat, Marriott, LG, Ichiba, Netflix, ARM, Amazon, Under Amour, Salesforce, Tesla Motors. He went on to suggest that even if these lists were extended to the top 500 most innovative companies, very few of the Luxury brands would figure in the list, going to show that they have a long way to go to on the road of new technologies. 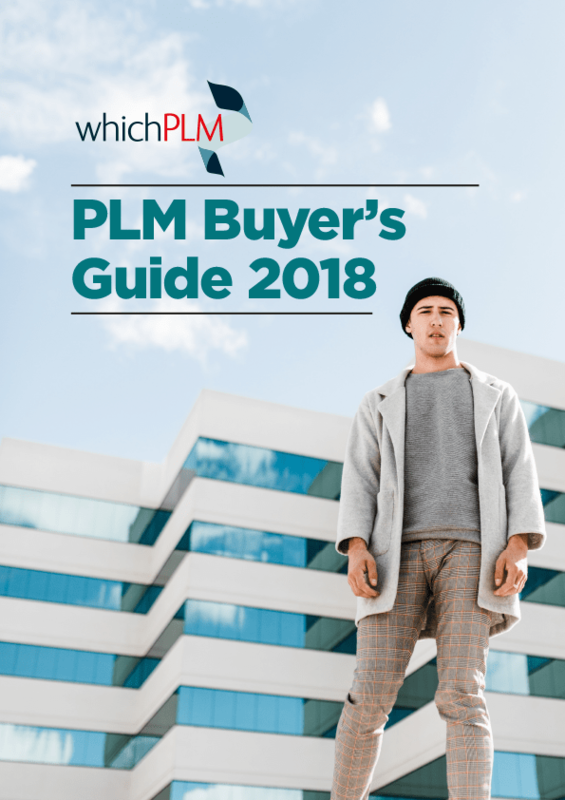 This being said, charting the growth of PLM over the last few years we can confirm that more and more Luxury brands are joining the growing ranks of fashion PLM users. Jonathan also shared an interesting story linked to the fall of the Berlin wall, in November of 1989 (interestingly, around the same time the Internet was starting to be used in the USA). Reading an article from the FT by a journalist named Jeff Copper, he talked about an incredible moment in his life and a moment for his generation of incredible hope for the future. At that time no-one would have ever believed that two people coming together could solve the problem of the Cold War! The article was stating that technologists – the likes of Bill Gates & Jeff Bezos – could reinvest their wealth to help overcome global issues of health care and poverty. Jonathan explored how social media is helping to share the messages that continue to change the world via IT, rather than the government and politicians, and how technology can continue to breakdown barriers, bringing together people from around the globe. 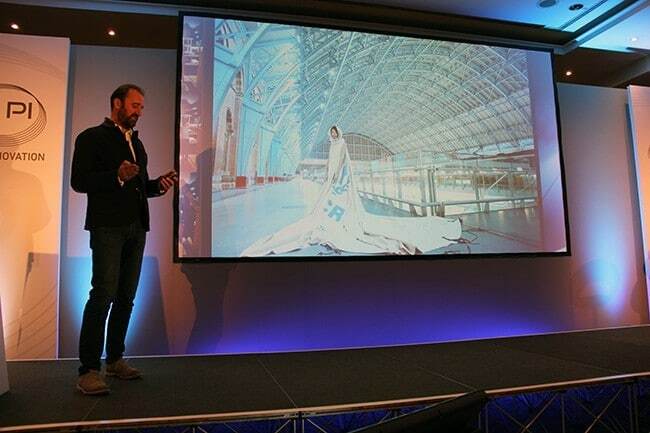 Jonathan shared some of Holition’s past and present projects with the audience, including working with two governments: the French Government in conjunction with Hermes to create lines that measure Paris’ pollution map; the UK Government on creating apparel that changes according to physiological changes in people in comas or with spine injuries. He stated that there’s been a seismic shift in how technology has empowered retail to tell you what and how to wear fashion; today it’s rather a two-way communication listening to what the consumer is saying. He talked about the ‘infant loop’ – something Steve Jobs invented based on communication with the consumer, talking about a product’s likes and dislikes and how the communication could be used to continually improve the products and thus customer experience and loyalty. This is similar to what most retailers are doing using today’s (social media) technology. In 2005 Burberry filled their fashion show using the Apple iPhone5 and, up until that point, the Luxury sector was completely against new technology entering their domain. It’s also worth keeping in mind that the iPhone 5 was also being used by Burberry’s audience, showing that both brand and consumer were sharing the same technology. This was just one example of something that has helped to totally change the way that Luxury fashion houses now view technology – and in only a decade! Jonathan’s company looks at a broad range of technologies related to the user experience and how brands are delivering technology in store. He feels that technology should be used at retail to engage and draw the public into the stores; he made the point that many technologies do the opposite and push people away rather than engage. People need to learn and discover by learning but not in store. Many technologies are released far too early: they look poor and give the wrong impression. Any technology needs to enhance and improve and therefore needs to be better than the real thing. Joanthan isn’t really a fan of iPads in store; he’d rather be enjoying the experience of the show in store. Jonathan shared his views on the latest industrial revolution, categorised as the fusion between the physical, digital and biological. He shared a story of a man called Professor Brian Warrick linking his own nervous system to the IoT, manipulating some exciting technologies. He shared the story of Lyst, an online fashion and e-commerce player. Lyst doesn’t have any products of it’s own, instead it simply points you to a brand with no warehouses or logistics, it takes your money and leaves the transport and returns to the responsibility of each of it’s brands. They claim that they are selling $60-80 million per month, returning sales revenue to the brands and taking a commission on sales. 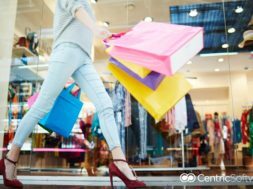 Interestingly, retailers are changing over 30,000 items in real-time every 30 seconds. Today, they can visualize this process happening in real-time. 9 billion bytes of data per year is now sold back to the brands! Jonathan also shared the story of the “canvas tent Genesis dress” that acts like a computer, reaching out and pulling in live data, visualizing it for people to see and better understand. 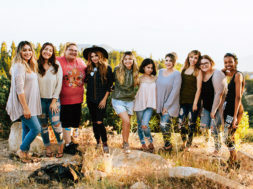 Suffice to say Holition is a pretty unique company – and one I intend to keep abreast of. Similar to what Jonathan and Holition have done around “wellbeing” with the UK Government, Carmen Hijosa presented her keynote, ‘Developing textiles & materials that enhance the well-being of the earth through the entire lifecycle of products.’ Carmen is the Founder & CEO of Ananas Anam UK, created in 2013, which manufactures and sells Piñatex™ – a product created by Carmen. Having worked in predominantly European countries in the design and manufacture of leather goods, Carmen travelled to the Philippines to carry out research into the development of products made from natural fibres. Ananas Anam was borne out of a desire to enhance the wellbeing of the earth and its inhabitants through the lifecycle of products. And as such, it is thought to be a pioneer in the development of innovative and sustainable textiles. Carmen discussed their development of textiles using only natural fibres, requiring no extra land, water, or chemicals during production. She advocated for the alignment of design and textile production with respect for the environment and humanity, and the importance in understanding different cultures, beliefs and lifestyles encountered in the fashion space. With a rise in importance and a sharper focus on Corporate Social Responsibility in the industry, I found Carmen’s speech very apt. She has a clear vision for the future of her company and, to a larger extent, hope for the industry as a whole when it comes to sustainability and ethics. She shared that her company is bringing to market a new, sustainable textile that fills the gap between leather and petrol-based textiles and – here’s the real kicker – it’s affordable. I take my hat off to Carmen and the Ananas Anam team. 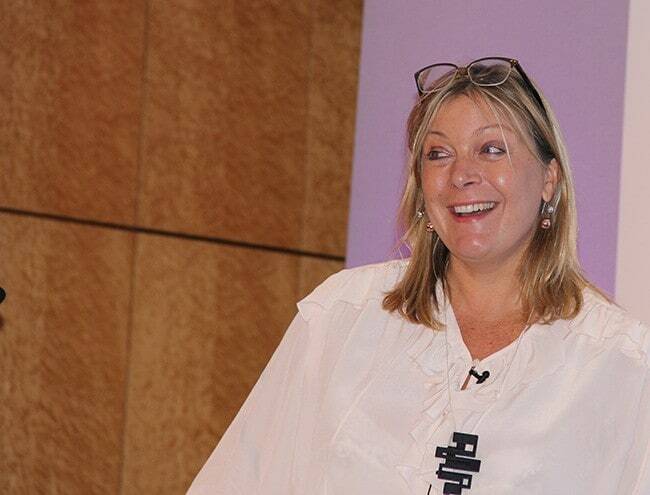 Also a keynote speaker – and kicking off the show right after Craig Crawford – was Cathy McCabe, CIO at popular British brand, Jaeger. With over 3 decades’ experience in the industry, Cathy is responsible for the brand’s technology, customers and strategy. She shared her excitement for the disruption that digital has brought to the customer experience in her keynote, ‘Bringing an iconic brand into the digital age from concept to consumer’. Jaeger is long established, having gained an “iconic” status in Britain during the 1960s. Today, in the digital age, explained Cathy, the business is looking to build on this reputation. Beyond the obviously alluring keynotes, a few other sessions grabbed my attention, both on paper in the programme, and in actuality. The programme for the two days felt a lot less dense than that of PI Apparel NY earlier this year, but this did mean less session ‘clashes’. One of the first sessions I attended was on ‘Exploring the intersection of science, technology & fashion in translating digital design into traditional knitted garments,’ by Brooke Roberts-Islam. As I’m sure you may already be aware, digitization was, quite rightly, a huge theme at Berlin this year. Having just completed our 6th Edition prior to the event, I was well averse in digitization and the Internet of Things, but eager to hear more. Brooke is an award-winning digital knitwear designer and consultant, and Founder & Designer of her namesake brand, Brooke Roberts. She has an interested background; more than ten years experience as a “diagnostic radiographer” within Britain’s National Health Service (NHS), Brooke now uses inspiration from brain and sinus scans to create knitwear. Her experience is vast – she is a Fashion Tech blogger for the Huffington Post UK as well as for her own blog; she curated the Fashion Tech Installation that launched London Technology Week in June this year and included her robotics/fashion/projection mapping project in collaboration with the aforementioned Holition, and InMoov; she has been selected for a TED talk; and she was voted onto the h.Club 100 most influential and innovative creative in the UK, in 2013. Brooke is a sought after figure in her space, and it’s not hard to see why. She spoke with such passion on combining science, technology and fashion. With digital knitting becoming popular against the slower, less environmentally sound, manufacturing process, Brooke discussed the current applications of digital knitting technology by well-known brands including Nike, adidas, and Herschel. These brands are currently using digital knitting to transform the manufacturing process for footwear, apparel, and accessories. Also speaking for digitization was Pascale Bouyere, Head of the Product Development Office for French up-market Childrenswear group, Groupe Zannier. Pascale led a focus group on ‘Leveraging virtual prototyping to enhance communication, collaboration, product creation and fit.’ He shared the many challenges Zannier face when it comes to specific constraints and demands on Childrenswear. The Group houses design, product development and pattern making for iconic licenses, and their status demands that fit, security, comfort and value are combined with creativity and uniqueness, evoking the same aesthetic as the parent label. Pascale shared how the Group leveraged virtual prototyping technology to allow their departments to communicate in a new way, and harness their creativity. To do so, they positioned virtual prototyping at the centre of departmental communication, with advanced visualisation at each stage of the creative process. They harnessed this to master fit in a very demanding product category. Another session that caught my attention was from the PEPKOR team. Continuing down the ‘fit’ route, Annamie Hansen and Hugh Winter delivered, ‘Driving a more customer-centric approach to product creation through 3D across look, feel & fit.’ Annamie has 20 years’ experience in retail and sourcing and is the current Business Development Executive for PEPKOR’s Strategic Sourcing Division; Hugh has 35 years’ experience in manufacturing and retail and is the current Supply Chain Executive for the same division. PEPKOR has expanded into 12 African countries since it’s founding more than 50 years ago, which has allowed for significant diversification of the supply chain. 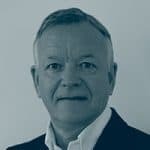 Both Annamie and Hugh have been focused on delivering scalable capability into the PEPKOR Group’s Buying, Technical and Sourcing pipeline, by working with their central European discount retailer, PEPCO. PEPCO is a rapidly growing retailer set on improving its product offering. Annamie & Hugh discussed the PEPCO of 4 years ago versus the PEPCO of today and how they have managed to achieve significant growth. 3D (as the session’s title was to suggest) has been a critical part of this, and 3D capability has been built into the value chain to align look, feel and fit. PEPCO, the duo shared, has seen a significant growth in sales, a reduction in samples and resubmission rates, and has standardized the development and buying process across fabrics, patterns and fit. 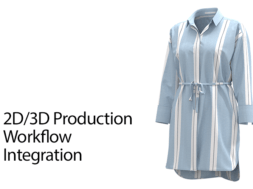 It’s obvious that 3D is now one of the cornerstones of any serious fashion business and yet another mainstream technology that continuous to advance it’s processes and features to overcome many of it’s previous shortcomings. This is just one of the reasons that we, at WhichPLM, continue to experience interest in 3D from our readership and see continued sales of our 5th Edition Report (focusing on PLM and 3D). The event boasted multiple PLM sessions – two, in particular that I was looking forward to. 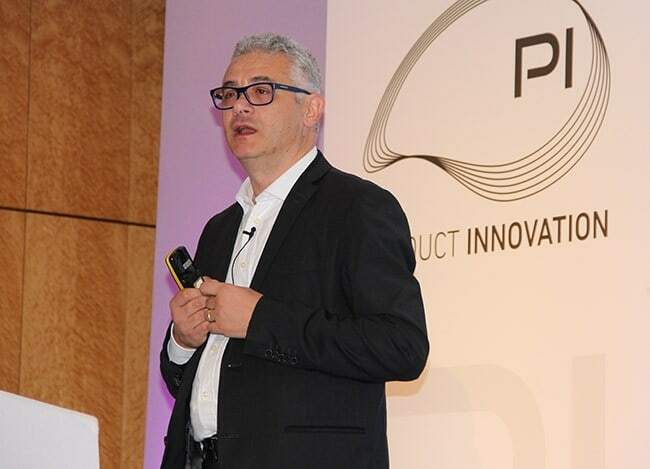 The first was from Operations Director at Marni Group, Pasquale Coppolella, and entitled ‘Optimising product development efficiencies & CAD performance with PLM.’ Previously, Pasquale has worked across all Chicos categories, and he has worked for Furla, Magli and Giorgio Armani. Leveraging his past experience, Pasquale was brought into Marni to select and deploy a PLM system and to understand how it could be integrated with other systems. Pasquale discussed the importance of understanding each project phase, and associated challenges prior to an effective PLM rollout. 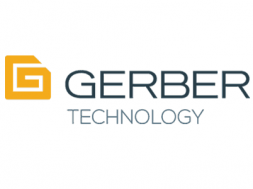 He shared that Marni are integrating new TXT versions with Gerber’s 2D CAD software for added product development efficiency as part of the project. Pasquale, presented how the rapid implementation and adoption of TXT Retail’s TXTPLM version 5.0 optimized the overall product development process efficiencies and performances. He stated that Marni is an Italian ‘total look’ brand of 20 years, part of the ‘Only the Brave’ (OTB) Group, with many brands within the holding company which offers high quality standards for a wide product range, from apparel, leather goods to shoes, accessories and jewellery, with very tight development schedules. The business understands the process of design and manufacturing which is an advantage when it comes to rolling out new technologies – the likes of PLM. The Marni PLM project is Pasquale’s fourth PLM project, so he came to the business with a great deal of knowhow and experience nt terms of the ‘do’s and don’ts’ of implementing PLM. 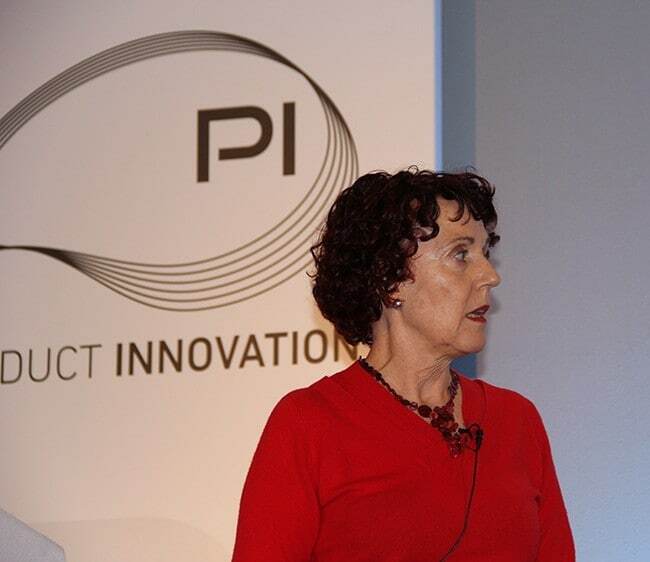 Numerous unproductive and impactful activities (such as unstructured development tools, non-standard development calendars, processes and even “languages”, uncontrolled timelines and fashion shows with unrealistic deadlines) led Marni to the decision to implement a PLM solution and TXTPLM was chosen as the technology of choice. 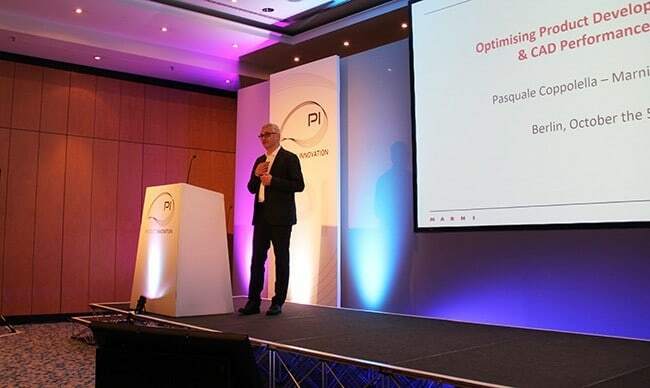 One of Pasquale’s first challenges was to educate the management team on what PLM actually was and, in the case of Marni, the message was all around “control, standardization, knowhow” amongst several others and what the management could expect after a successful implementation! The choice of the TXTPLM solution was fully supported by the management team and set as top priority which, as a result, led to a fast and effective rollout: six months after the decision was made in October 2015, PLM went live! The pillars of this success were an enterprise project consistently supported by senior management; the right person (best business person leading the project and not IT) selling the project leader on how it would transform their future career path; that person owning the project outright. 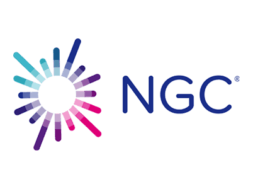 The designated project coordinator was a trusted person from the product development team who naturally translated business pre-requisites into IT requirements, without ‘reinventing the wheel’. A key question for any company implementing a PLM system is “what functions do I need?”. This is where ‘not reinventing the wheel’ is a key concept. The Marni team used the knowledge from a wide range of sources to define the functionality they required, such as TXT’s experience, the Marni project team’s experience from previous projects, and also the experience from competitors. The Marni team also contacted it’s own competitors and exchanged ideas and concept learnings. Using this knowledge and the capability of TXTPLM and the TXT delivery team to rapidly configure the solution, the project team ‘cherry picked’ the best elements to create an efficient solution, rapidly implemented, and quickly adopted by all user roles. The project was split into different phases with challenging timelines and priorities to standardize the product development processes and calendars across the different categories and encourage business teams’ adoption. Short term benefits were immediately observed: collections launched on-time, better control over costing, increased profitability, limitation of “over development”, centralized source of collections’ history, acceleration of developments; but a key additional benefit was the easy access to all product information for other roles, such as sales and merchandising, at any moment, in all showrooms worldwide! TXTPLM is Marni’s single source of all product information, including elements such as marketing and advertorial information. The enthusiasm around this success naturally led to new longer term opportunities to evolve PLM at Marni, purely driven by the business’ demands: design to cost approach; online and real-time remote fitting sessions and online collaboration and sharing with suppliers and external services; further reinforce development and optimize material consumption, due to smooth pattern design and marker making file interface; provide mobile access to all roles within the business, with quick access to all product data via the scan of a QR code. In a nutshell… PLM company-wide capabilities bring a new world to discover! The second PLM session that grabbed my attention was ‘The 4-month PLM rollout story – increasing speed to market with PLM’ from Julia Dubowy, Director of Operations at MUSTANG GmbH. 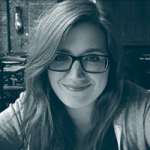 Skeptical of how efficient ‘super-fast’ PLM rollouts are, I was eager to hear Julia’s story. Julia oversees IT and Supply Chain Management at MUSTANG, and her first “successful project” was the implementation of PLM – something that realized many tangible benefits. At the close of 2013, the company was actually on the hunt for a PDM system, which I was surprised to hear. It came about that they actually “stumbled upon PLM.” According to MUSTANG, PLM was new to the German market at this time – a point I feel I need to counter. Whilst the uptake of PLM from Germany may not have been as strong as, say, from the US, at this time it entered the German marketplace long before late-2013. The final session I’d like to touch upon was from Hakan Duran, IT Director for Turkish Group, Aydinli. Hakan is responsible for local and global IT systems and operations and presented a session on the “end-to-end value chain.” As well as managing various support, development and infrastructure tools, Hakan managed the PLM project that began in 2013. The Group selected the Visual 2000 platform to manage all of their product-related data and, in parallel, selected SAP’s ERP to manage the financial and operational side. Despite this, collaborating with their 350+ supplier network was still a difficult task and relied heavily on the internal teams collating and prepping necessary information for each supplier system accordingly – an arduous and time consuming job. Hakan’s role, he shared, was to automate this process, and allow the suppliers to manage the supply chain end-to-end. In large part this was achieved via the creation of a Supplier Portal. Hakan showed the audience what the Portal looked like, and how it allowed on the right information to be available to the right supplier at the right time. Currently, the Portal acts as a two-way, collaborative platform. The event was a slightly slimmed down programme than what I observed in New York earlier in the year, but fairly well attended. It was full of interest and excitement with an abundance of new and interesting technologies on display, and certainly for those that didn’t attend N.Y. there was a lot of quality content filtering through that would be of significant value for a first-timer to the show. 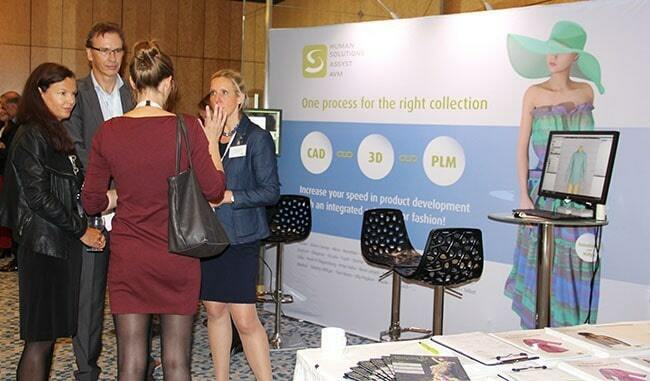 Like in New York, both PLM and 3D were equally attended and following on from our 5th Edition PLM & 3D report, we can state, based upon the latest feedback from each of the vendors that attended, that they have seen increased awareness and sales of their 3D solutions in the last year. This is also supported in our 6th Edition PLM & IoT report showing an overall increase in PLM sales of 23%. My highlights of the show would have to be the customer presentations for both PLM and 3D and would congratulate each of the speakers. Each presentation was very interesting with lots of lessons learnt along each journey. I would also callout the continued growing momentum in both PLM and 3D and the many interesting implementation success stories that support both technologies. 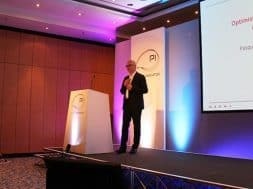 I had the opportunity to speak to a number of consultancy businesses that each has a very good understanding of both PLM and 3D and how these solutions can be better implemented using best-practice and of course hands-on experience having completed many previous implementations. I had the opportunity to speak to several PLM vendors who shared their strategies on the IoT (Internet of Things) as well as one or two vendors that are still undecided on the IoT. This takes me back to the 1980s when I was one of the team that came to the market with the world’s first PDM system, in the late 1990s with CPM (Collaborative Product Management) and 3D, and with PLM in the early part of the millennium. So, for those that are still a little unsure of the IoT all I would say is have an open mind and look around you; the IoT is already here and like PDM, CPM, PLM & 3D it’s not going to disappear but rather come about more quickly than it took PLM to become a mainstream acronym.